Eco Garden Systems, LLC provided me with an Eco Garden System in 2017 to try out in my zone 6b garden. I use the space on my driveway, a previously unused portion of my property, to now produces food for my little family (a.k.a., my husband and two rabbits). 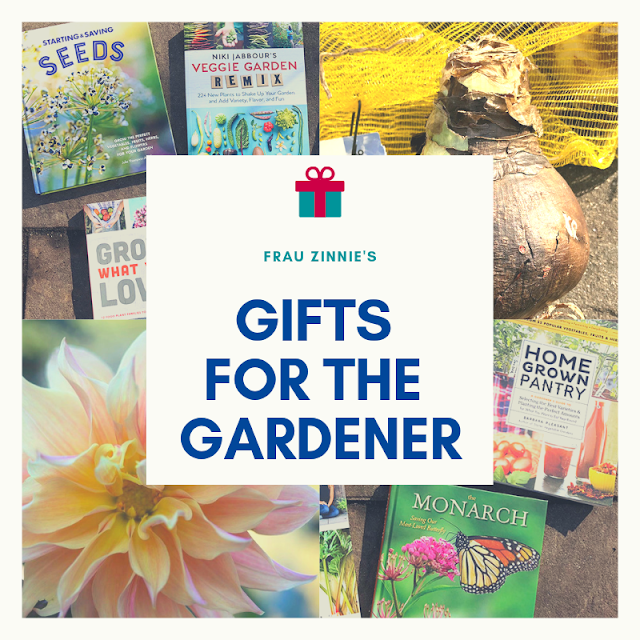 2019 will be my third growing season with the garden and it has held up very well, especially considering I live in New England and it remains in my driveway year round! I have written about it numerous times (links to my sponsored posts are below). Some of the edibles I have grown in my Eco Garden System in the past include celery, lettuce, cucumbers and snap peas. 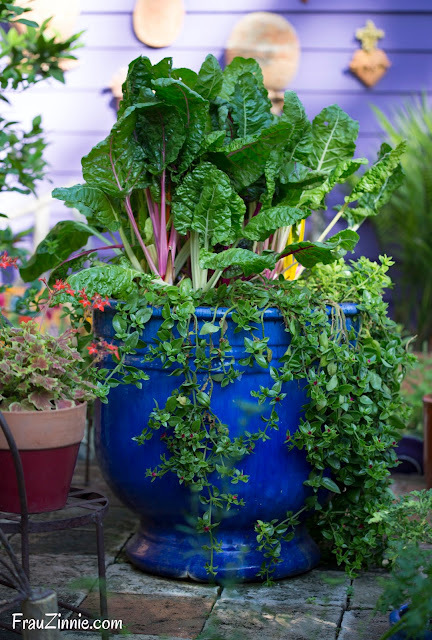 The thing I like best about the Eco Garden System is that it has a water reservoir at the base of the unit, so that takes the pressure off me to make sure the plants are continually watered. On those hot summer days when I come home from work, the plants in the Eco Garden System don't seem to mind at all (while other containers look like they need immediate watering). And when the plants do need water, I can easily hook it up to my garden hose and activate the built in watering feature. 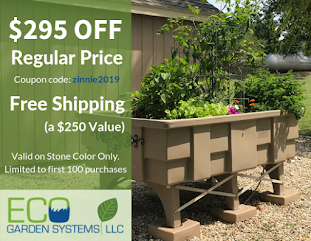 If you are interested in purchasing your own Eco Garden System, I welcome you to use my discount code, zinnie2019, which will give you $295 off plus free shipping (~$250 value). This code can’t be combined with other offers. This offer is good for U.S. residents only at this time (except for Hawaii, Alaska and Puerto Rico).